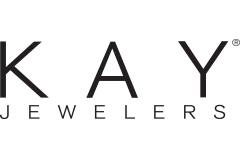 Kay Jewelers carries a wide selection of jewelry to celebrate every occasion in your life. As the #1 specialty jewelry brand in the United States, we know that offering fine jewelry at a great price is only part of the story. We are fully committed to providing a superior shopping experience. Our sales staff is empowered with the knowledge to assist each customer, while our website offers an Education Center, where you can learn more about jewelry.